Want to hear a funny story? funny to me anyway Do you know where Galentine's Day originated? For some reason I thought it was something that Hallmark or social media invented. I'm ashamed to say that I really should have known its origin story. 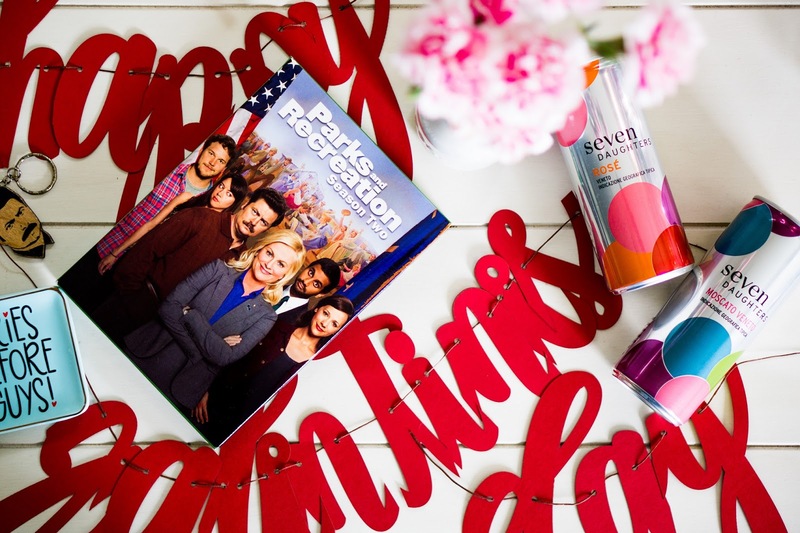 Galentine's Day was created by the TV show Parks and Recreation. Honestly, so ashamed that I didn't know that. Parks and Rec is my all-time favorite comedy show. Back in season 2, episode 16 (in 2010), the episode "Galentine's Day" is where Leslie Knope (Amy Poehler) celebrates a brunch with her female friends on February 13. Ever since, it has become an unofficial holiday where women celebrate other women. In the wake of the #MeToo movement, this Galentine's Day seems extra special. So get a bunch of your besties together and celebrate each other! 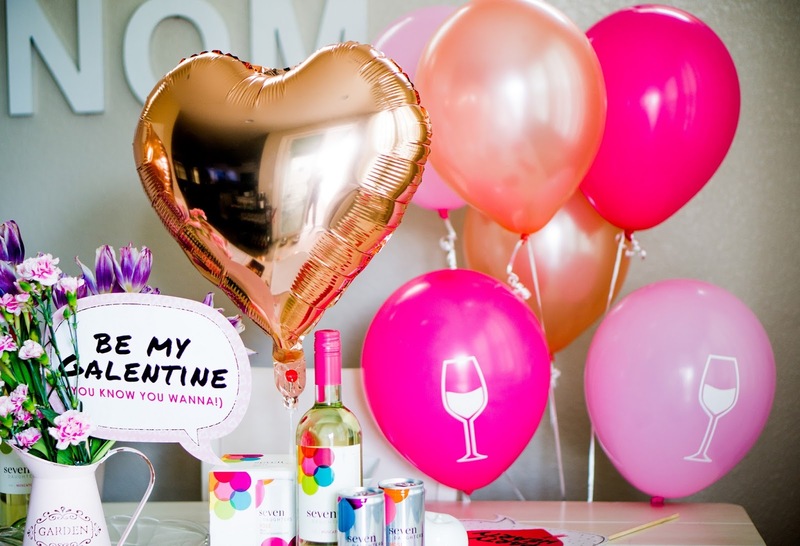 Here are a few tips on how you can throw the perfect Galentine's Day brunch next week with your favorite gals, amazing decor, some delicious treats, and of course, wine! We're talking about brunch with your besties, so you know that includes some delicious Seven Daughters Wines. A perfect brunch drink is the classic Bellini. 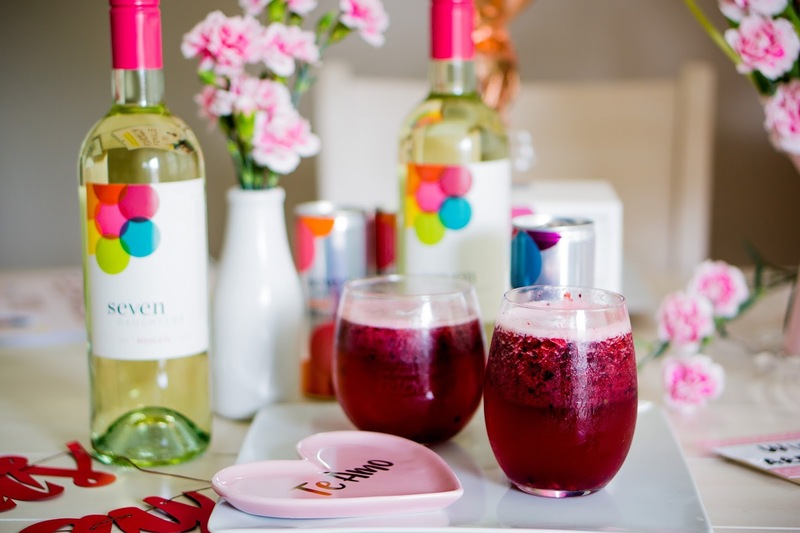 Using the Seven Daughters Wines Moscato, you can make a "Berry Good Bellini" that your guests will love. In a blender, mix sugar and berries until smooth. If desired, strain the mixture. Then pour the mixture into a pitcher and add Seven Daughters Moscato. You can also use the Seven Daughters Moscato -- the bottle or the cans -- to make grapefruit mimosas. Just add grapefruit juice, ice and top it off with Moscato. The easy to chill, easy to open Moscato cans can also be enjoyed alone. The portable cans would also make for great party favors. Find Moscato and other wine varietals on the Seven Daughters Wines website. Shop the wine at Target, BevMo and Whole Foods, or save 20% off your order with code MUSE7D at Uncorked.com. You can't throw any type of get together without balloons. They add a beautiful backdrop to any brunch. Consider getting balloons that truly fit the theme like ones that say "love" "Galentine's day" or "xoxo" then that's even better. Galentine's Day wouldn't be complete without a Parks and Recreation watch party. Take 30 minutes to watch the season two "Galentine's Day" episode with your gal pals. Then determine which of your friends is most like the characters in the show. Are you a Leslie Knope? An April Ludgate? Maybe you're more of an Ann Perkins or even a Donna Meagle. I'd like to think that I'm part April, part Donna! If you're feeling up to it, watch the entire season. In keeping with the Parks and Recreation tradition, you can't have a Galentine's Day brunch without waffles! Add a little whipped cream and strawberries for a delicious treat. And let's not forget the must-have donuts for dessert. 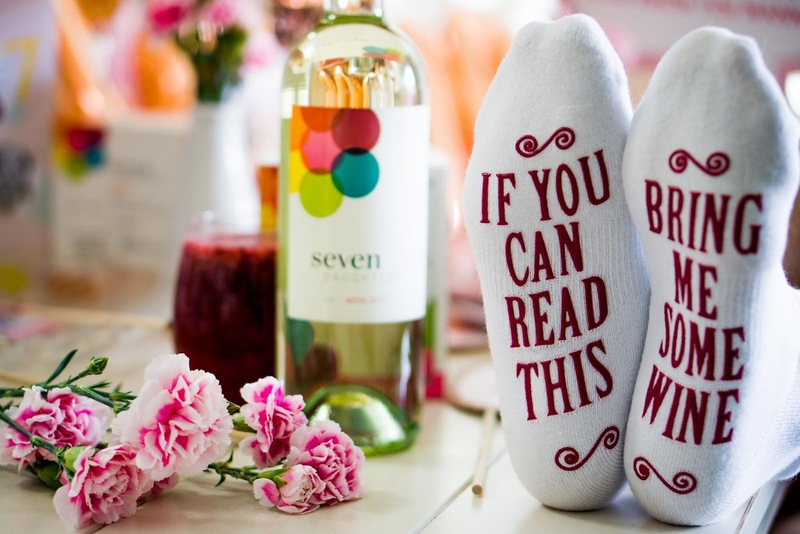 Any time you throw a party -- even a brunch -- you want to make sure you add some personal touches. 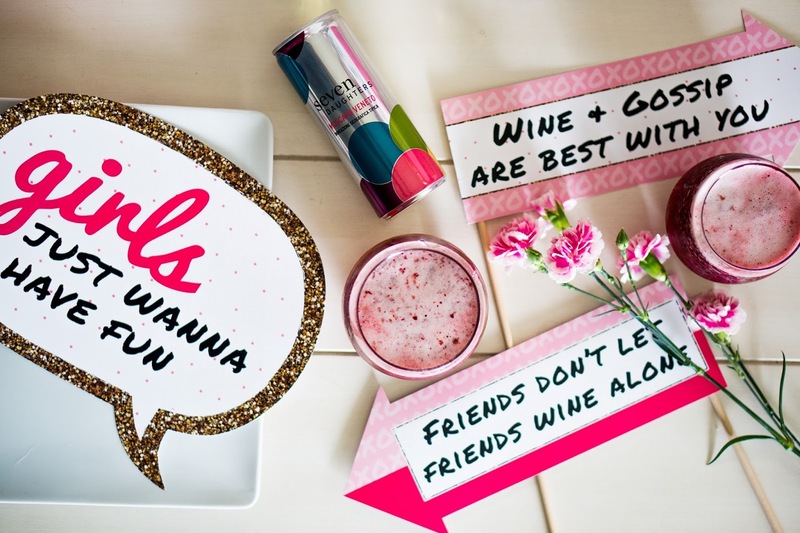 Stickers and speech bubbles in centerpieces and stemless etched wine glasses also make the party more inviting. Before your guests leave, it's always nice to send them off with a parting gift. Since Galentine's Day is all about women empowering women, consider a gift that exemplifies this notion. 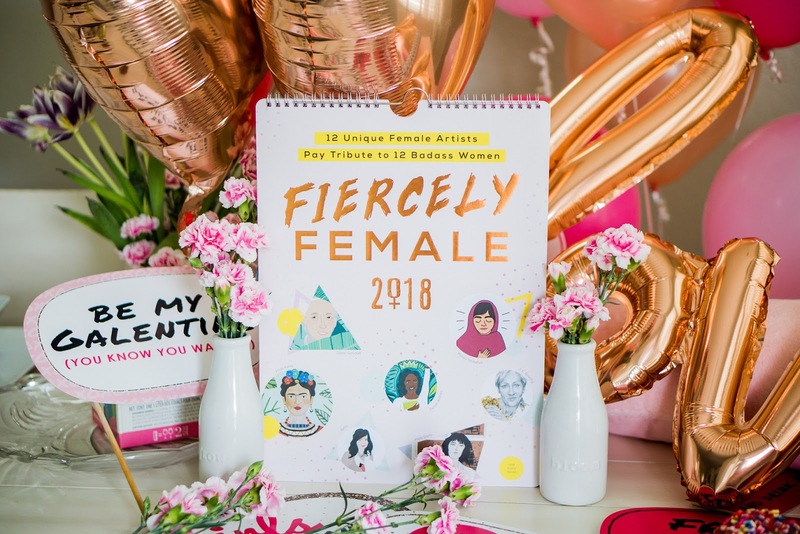 Something cute and fun like this Fiercely Female 2018 calendar is the perfect take-away item. It features strong women like Marie Curie, Jane Goodall, Iris Apfel and more. Once you have the food, drink and decor ready, you want to make sure that you look the part as well. 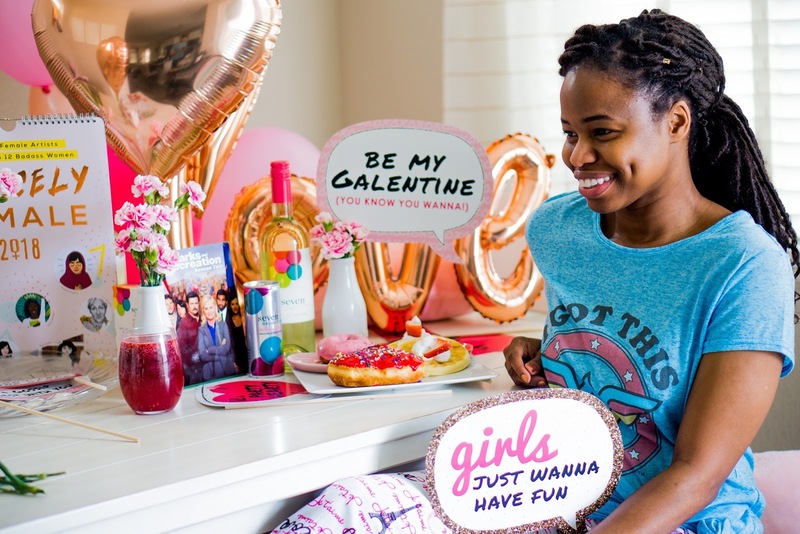 A great option for your attire for an at-home Galentine's Day brunch is to wear something comfy and cute like pajamas. A pair of wine socks, Valentine's Day inspired pajama bottoms and a Wonder Woman tee should do the trick. I had no idea that's where Galentine's Day came from! I also want to try making that drink. So easy and looks tasty! This is a cute setup! So many great items. Love everything. It looks so much fun. I never had Galentine’s day party. No idea how it started. I've never watched Parks and Recreation so I had absolutely no idea that's where Galentine's Day originated from. Such a cute soiree setup! What an adorable set up! Now if this ain't a good idea, I don't know what!! Thanks for the tips and ideas Cheryl. Will definitely come in handy. I had no idea that is where Galentines came from. I thought it was a Hallmark thing too. Thanks for sharing some fun tips. Awesome post! Will have to try out that recipe! Galentines brunch sounds so fun! Wine, donuts and good friends. . . .when is the party?? This is so cute!! 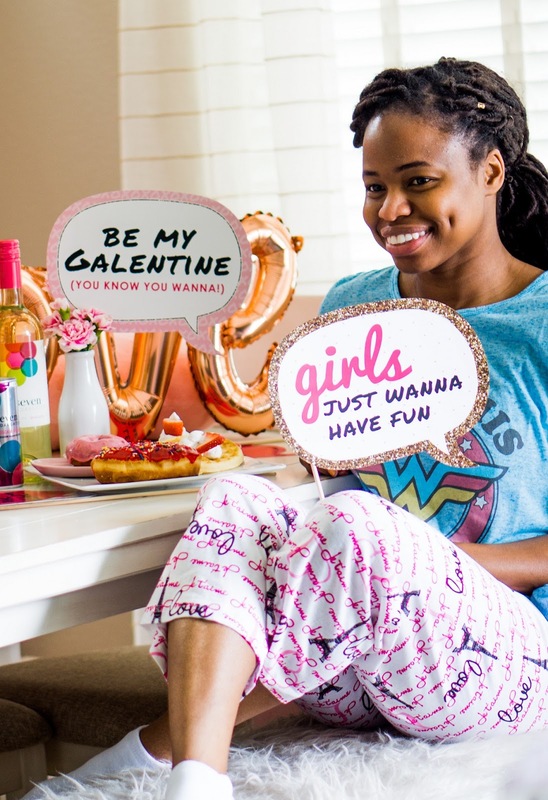 I love the idea of a Galentine's day, and these are all such great ideas! The cutest set up!! I want to come over for your Galentine's party!! Love your tips to celebrate. This looks like so much fun! I'd love to have a Galentine's brunch! I did not know Parks and Rec created Galentine's- too funny! 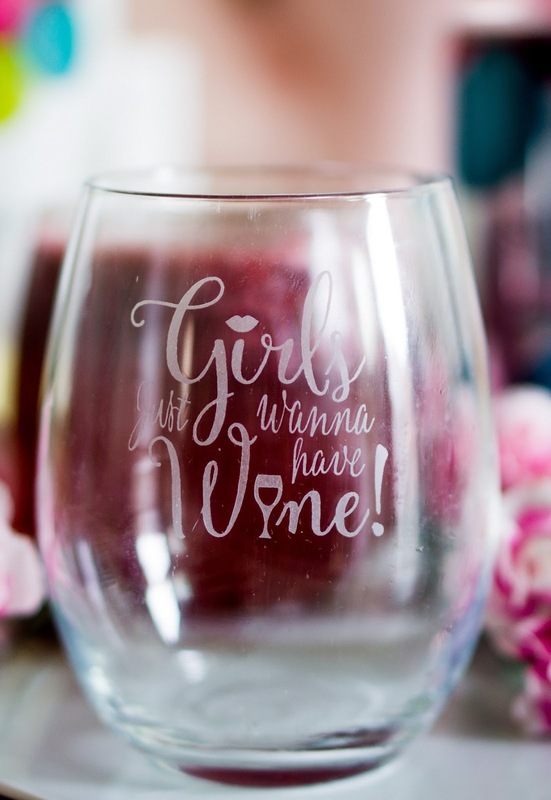 And loving your cocktail recipe- perfect for girl's night! 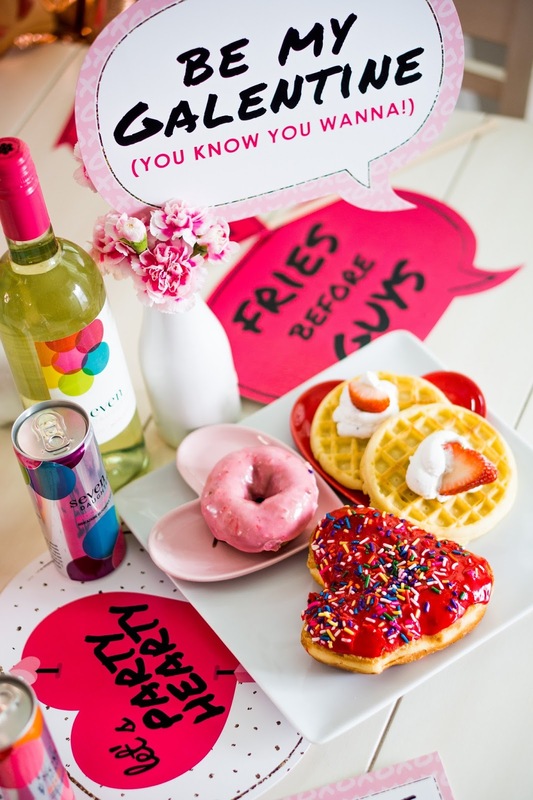 This is such a cute Galentine's Day brunch! I just started drinking 7 Daughters wine and love it! This is such an adorable idea! Love your tips too dear! This is so adorable and fun! I need to check out this wine.